Beware this Halloween and think before you blink (in decorative contact lenses that is)! Sure, decorative contact lenses can enhance any Halloween costume, but if not taken seriously, they can also cost you your vision. Whether they are sold as cosmetic lenses, colored lenses or fashion lenses, they are anything but cosmetics – they are medical devices that must be approved by the FDA and properly fit and handled. 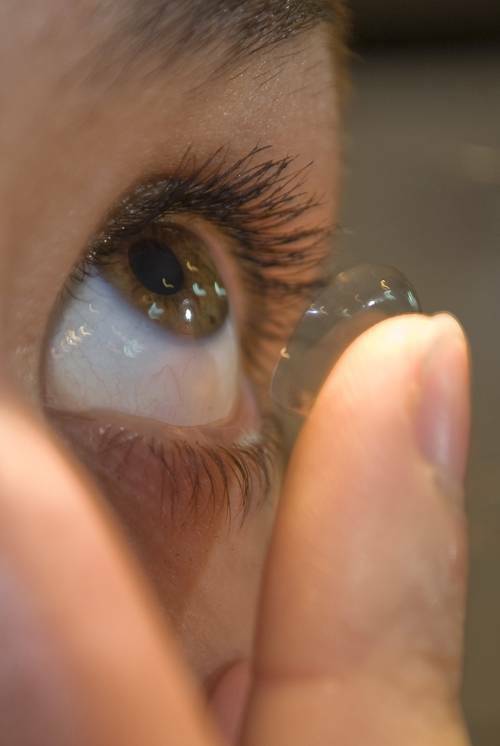 Stores selling decorative lenses without requiring a prescription are breaking the law. All contact lenses must be properly fitted by an eye doctor that has measured your eye and given you proper handling and care instructions. A poor fit can result in serious eye damage, corneal scratches, infections, vision loss and even blindness. When purchased and handled properly, decorative lenses can be a fun (or spooky) addition to your costume, so go ahead and purchase them, but do it safely. Get a contact lens eye exam and fitting from a licensed eye doctor and a valid prescription for contact lenses that includes the lens measurements, brand, base curve, diameter, power and color as well as an examination date and an expiration date. When the lens is coming from a legitimate source, the lens supplier ensures it has not expired and that manufacturer takes care of the material and tracking bar codes. Optimally, have your optometrist order the lenses or if that is not possible, purchase lenses from a registered store or online shop that requires you to provide this prescription to ensure that it is properly fit. Follow the directions for cleaning, storing and wearing lenses. See your eye doctor immediately if you experience persistent redness, pain or vision disturbances. Important note: Many patients believe that a routine eye exam and eye glasses prescription is the same as a contact lens prescription but this is not the case! Many online companies do not advise people of the difference or do not adhere to the one year prescription expiry. This is a big concern for eye doctors because eye health changes can detrimentally affect contact lens wear. All contact lenses should be checked yearly by an eye doctor or registered contact lens fitter. Contact us today to book a contact lens exam.